Debra Anderson, a Canada Post Letter Carrier gets the most adorable / funny / scary or reaction every day while on her route – It happens just about every day! – This guard-cat might be a surprise for most, but she enjoys the interaction! 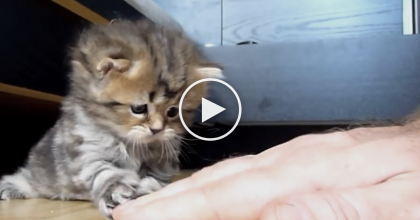 “Every day I encounter this attack cat. It is the highlight of my route and I love him! Scarier than any dog yet…Pretty sure it would rip my face off if the glass window didn’t keep him in.” Debra wrote via YouTube Part 2 below. 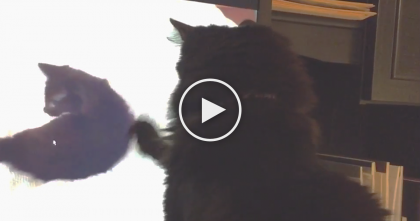 This is the best alarm system anyone could have… Watch the video! 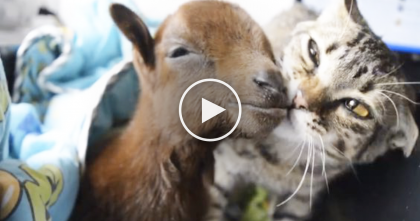 This is just hilarious—SHARE this with your friends if you enjoyed this story!! 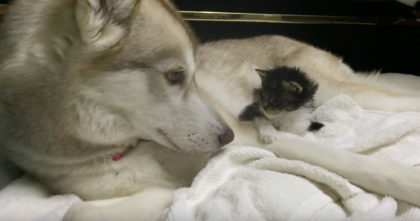 Terrified kitten lost her mom, but when they introduced her to the dog… It’s just AMAZING!! 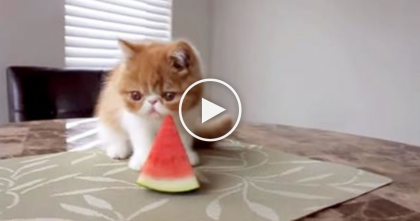 When This Kitten Discovers His Favorite Snack… CUTENESS OVERLOAD!